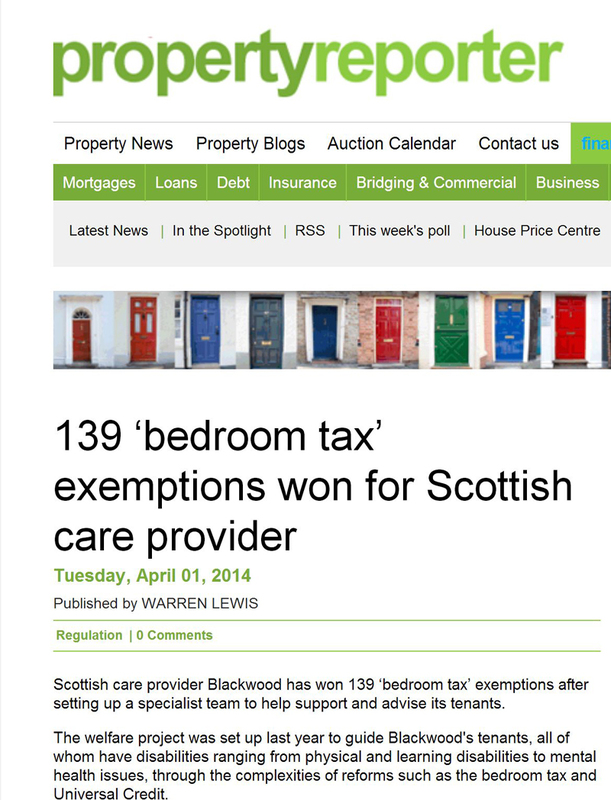 Leading housing and care specialists Blackwood have grabbed headlines thanks to their work which achieved Bedroom Tax exclusions for affected customers. Blackwood set up a dedicated team last year to help their tenants, all of whom have disabilities, navigate their way through the complexities of benefit changes, including the controversial Bedroom Tax. Many of those living in specially adapted homes face uncertainty over the Bedroom Tax as downsizing would mean huge costs and upheaval to adapt new homes to their specific needs. Over the past year, Blackwood has successfully gained bedroom tax exemptions for 139 of its tenants and this achievement has gained recognition from The Guardian. The newspaper uploaded the coverage onto their website, creating buzz around Blackwood’s latest move. The full article can be read here at the Guardian Online. 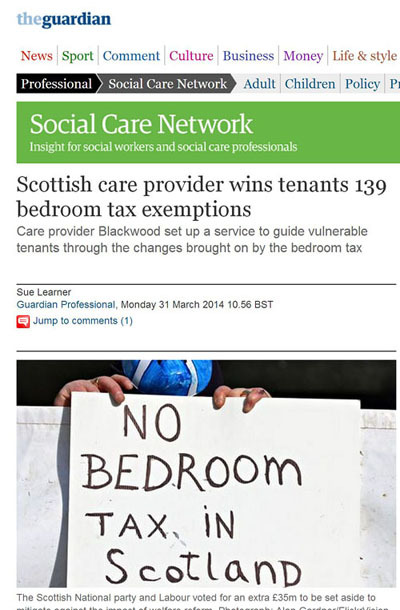 Property Reporter Online also uploaded coverage of the Bedroom Tax story onto their website. The full article can be read here. In the 40 years it has been running, Blackwood has earned a reputation as the foremost experts in adapting properties – from entire renovations to minor adaptations – which transform the lives of the people living in them. The coverage was achieved as part of an ongoing PR campaign for Blackwood. The original press release can be read on the Holyrood PR website here. If you would like to find out more about how quality public relations can help benefit your business call a member of our team today.